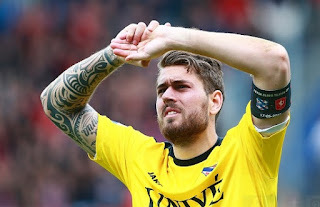 Swansea City sign Kristoffer Nordfeldt Swansea City have signed goalkeeper Kristoffer Nordfeldt from Dutch outfit Heerenveen for an undisclosed fee, according to SkySports. Swansea City have signed goalkeeper Kristoffer Nordfeldt from Dutch outfit Heerenveen for an undisclosed fee, according to SkySports. The Swedish goalkeeper who got married few days ago has signed a long term deal after passing the medical at the Liberty Stadium. Nordfeldt will be competing Lukasz Fabianski for the goalkeeper role. The former Arsenal stopper spent a great debut season at Liberty Stadium. He kept 13 clean sheets last term for the Swans in Premier League. Meanwhile, David Cornell and Gerhard Tremmel both have already left the club recently. Swansea manager Garry Monk has made his third signing of this summer. Striker Andre Ayew and full-back Franck Tabanou have already sealed their summer deals. Nordfeldt impressive display at the Dutch club last season caught the eye of Monk. The player spent three season with the Dutch outfit. He was also linked with Liverpool once in the past. The Sweden international who has won five caps featured in more than 100 games for Heerenveen. Nordfeldt reveals his happiness in an interview after signing the deal that it’s the best birthday gift. He turned 26 today. He also added regarding the Premier League that it is one of the best league in the world.